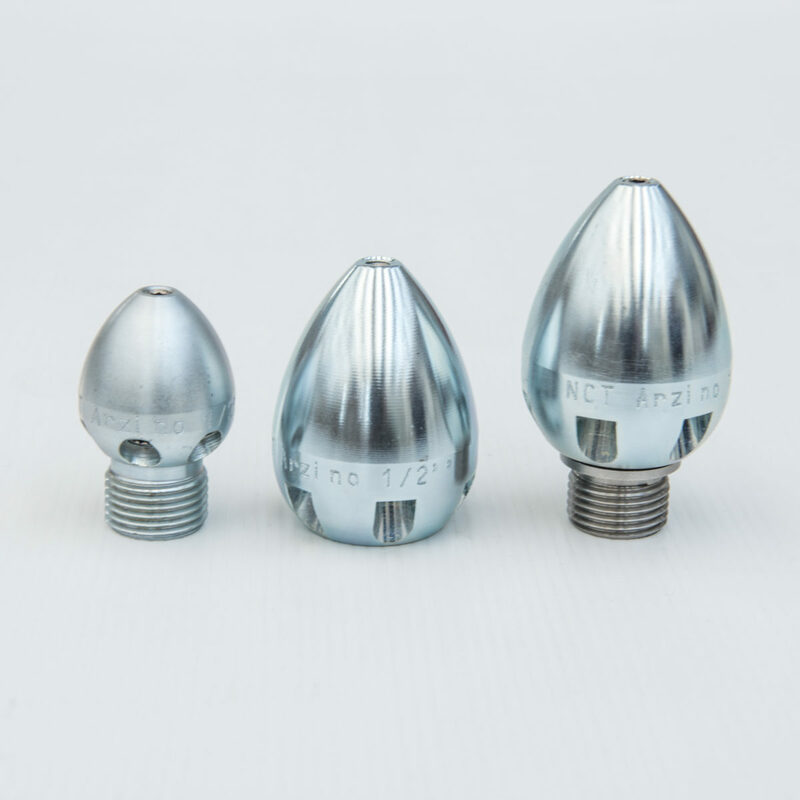 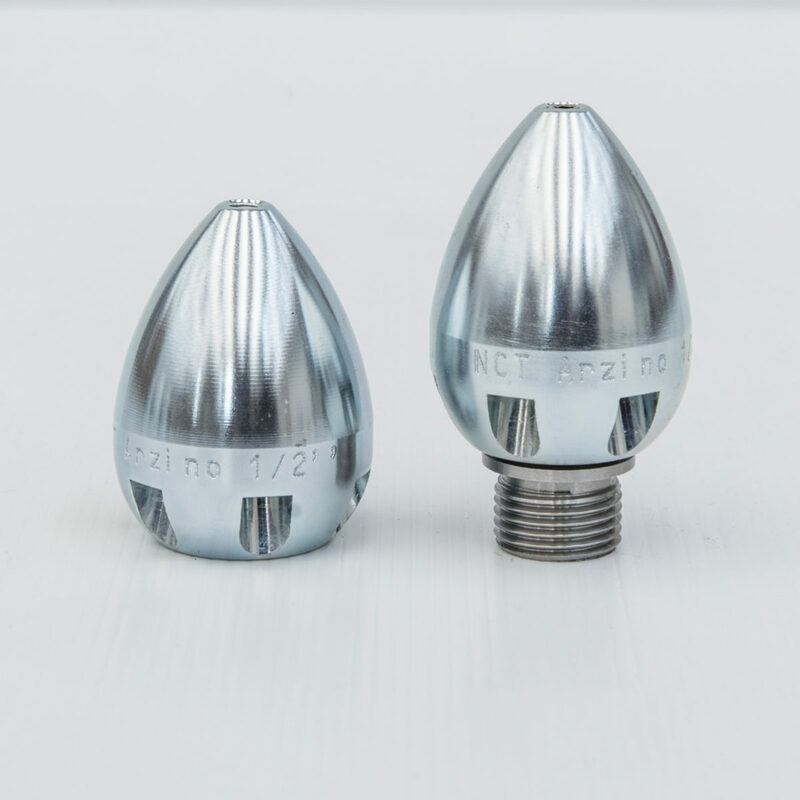 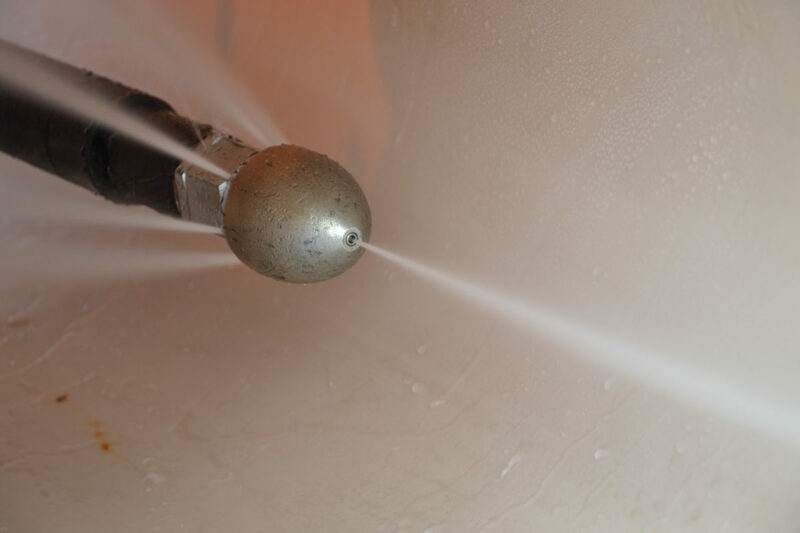 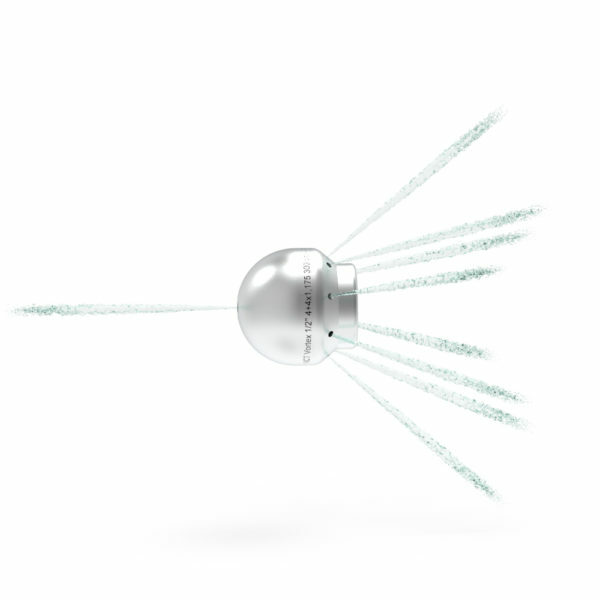 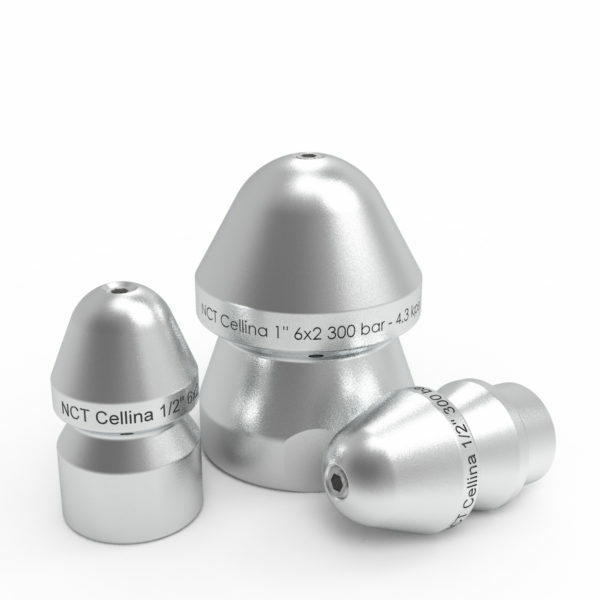 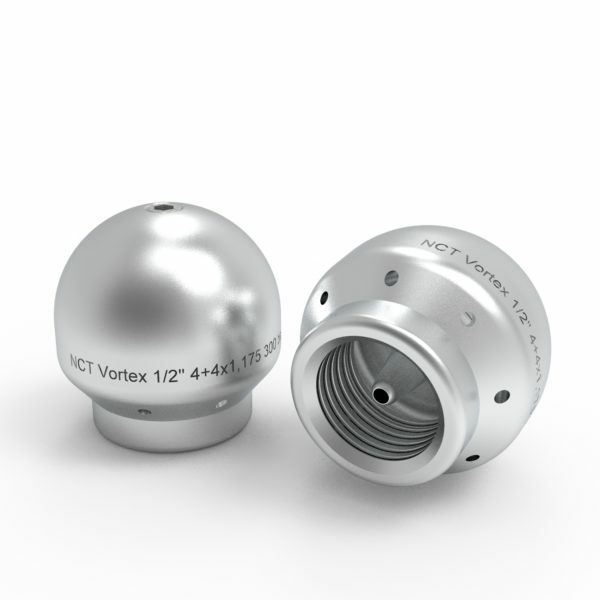 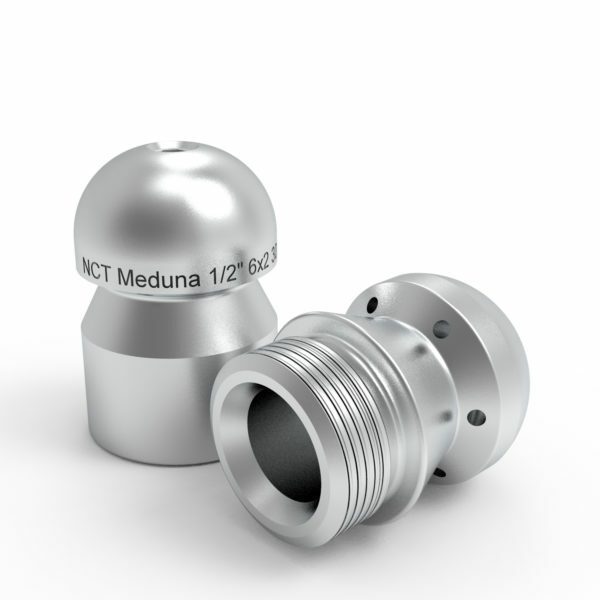 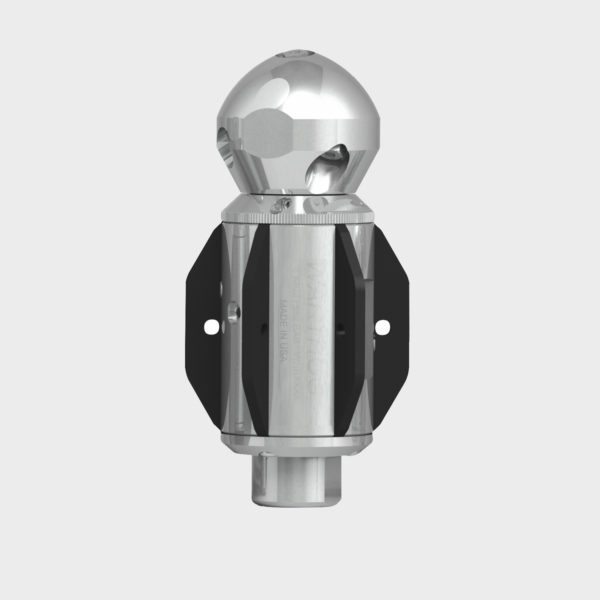 High traction nozzles with interchangeable (steel or ceramic) inserts. 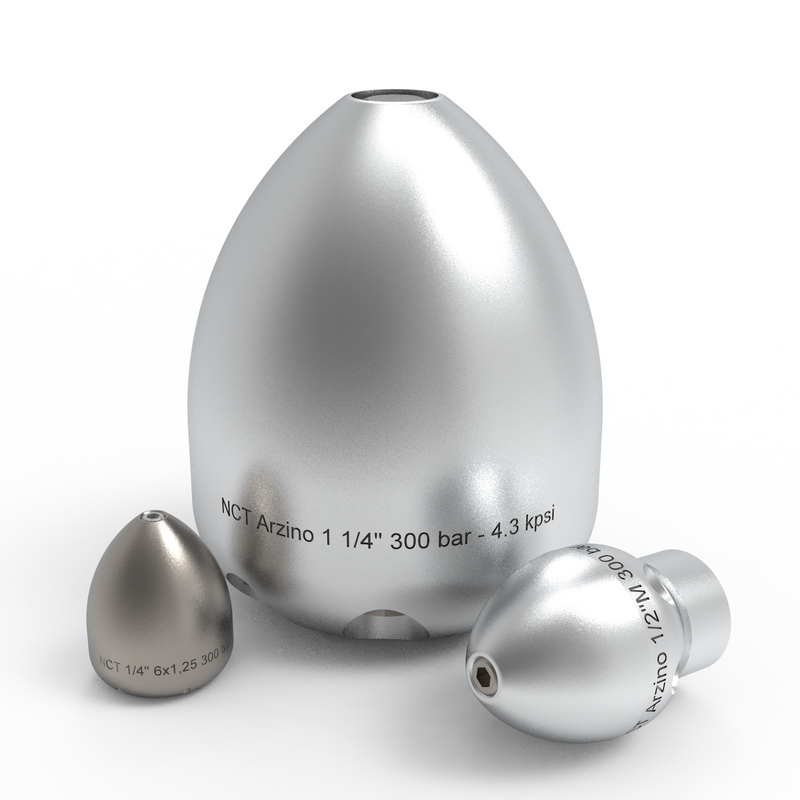 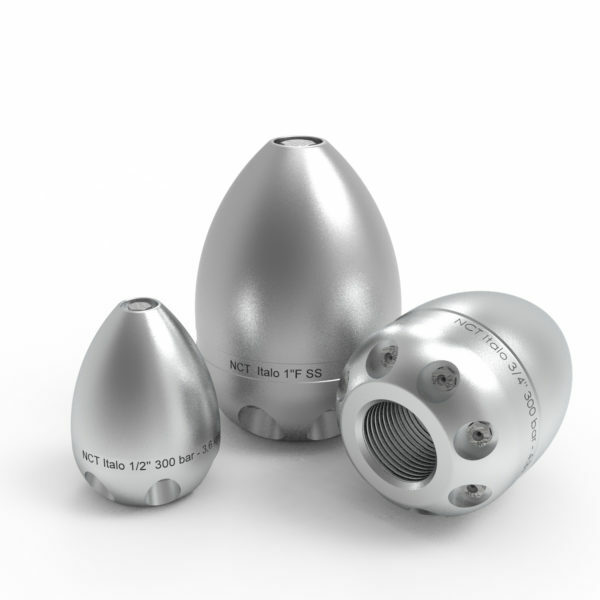 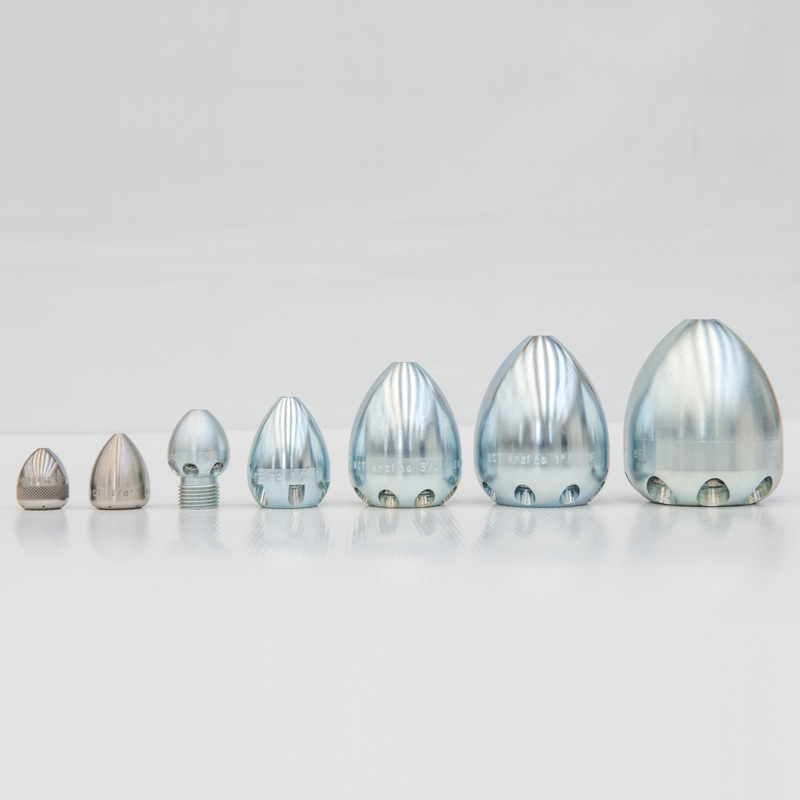 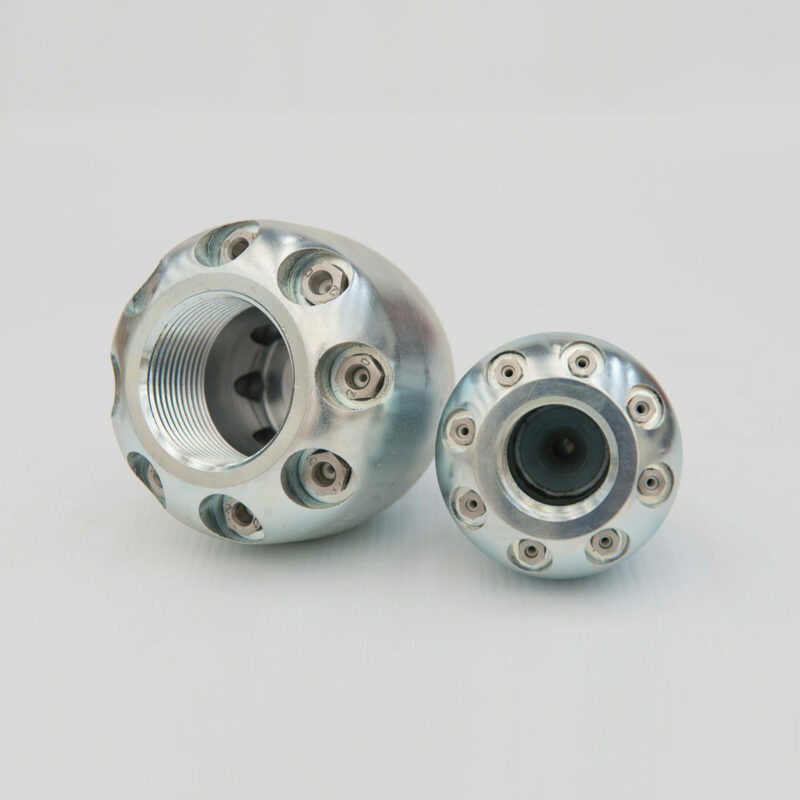 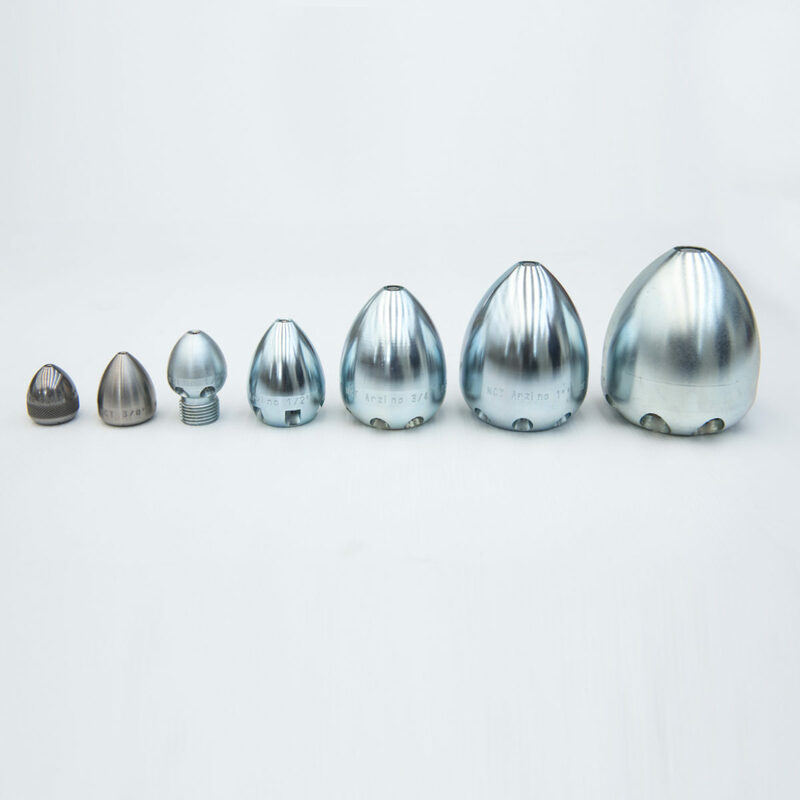 The egg shape allows an easy headway in bent pipes. 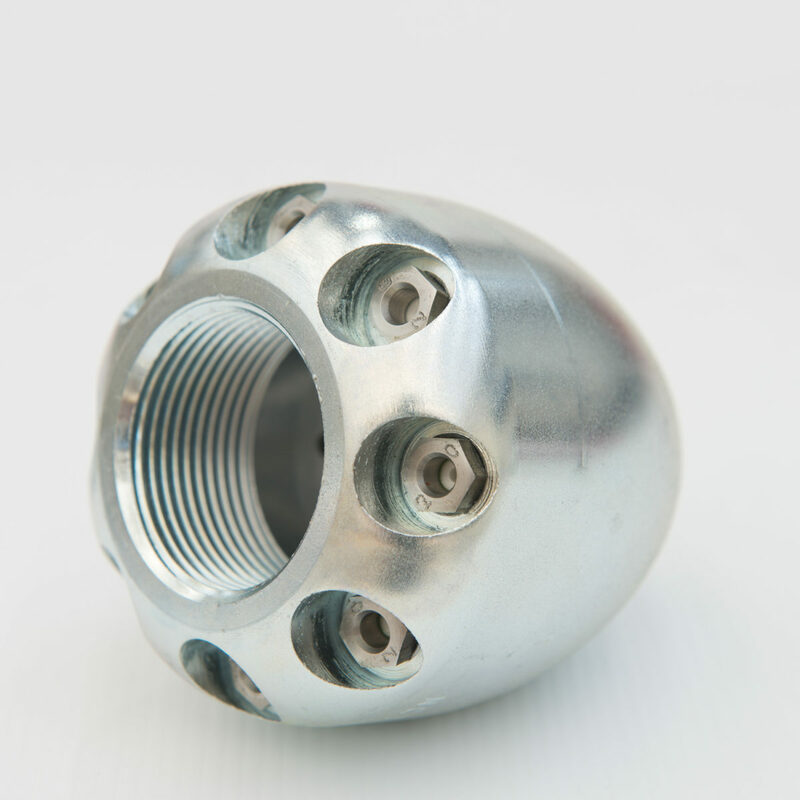 Made of stainless steel available upon request.